Jordan celebrates its Independence Day on May 25. On this day in 1946, it became an independent sovereign state, following the end of the British mandate granted by the League of Nations. The historical name of the region where present-day Jordan is situated is Transjordan. It was first inhabited during the Paleolithic period. Transjordan was controlled by numerous powers throughout its history, including several Iron Age kingdoms (Ammon, Moab, and Edom), the Roman Empire, the Umayyad Caliphate, the Abbasid Caliphate, the Crusaders, the Ayyubids, and the Mamlukes. Finally, in the early 16th century Transjordan was invaded by Ottoman forces and became part of the Ottoman Empire. The Ottomans ruled in the region for four centuries, but for the most part, their rule was virtually absent and reduced to annual tax collection visits. As a result, Transjordan was briefly occupied by the Wahhabi forces and then by the Egyptian forces in the early 19th century, but the Ottomans eventually restored their rule. The Ottoman Empire broke down at the end of the First World War. Seeking independence from the Ottomans, the Sharif of Mecca Hussein bin Ali received military backing from Britain and France, and initiated the Great Arab Revolt. Meanwhile, Britain and France held secret negotiations aiming to divide the Middle East after the war. As a result, the territory of Transjordan was allocated to Britain according to the 1916 Sykes—Picot Agreement. When the war ended and the Ottoman Empire ceased to exist, the Middle East was divided into the British Mandate for Palestine and French Mandate for Syria. The newly created Emirate of Transjordan, ruled by Abdullah I, was included into the British Mandate for Palestine. In 1928, the Emirate was officially provided full autonomy from the rest of Mandatory Palestine (which included present-day Israel and the West Bank). Although the British still maintained a military presence in the area and controlled the Emirate’s foreign affairs and partially finances, Transjordan was nominally independent. However, many Transjordanians sought full independence, which led to widespread dissatisfaction with Britain’s policy. After the Second World War, Britain announced that it would end its mandate over Palestine. The first step was establishing Tranjordan as a fully independent and sovereign state. On March 22, 1946, the UK and Transjordan signed the Treaty of London concerning the latter’s sovereignty and independence. On May 25, 1946, the Emirate of Transjordan was renamed the Hashemite Kingdom of Transjordan. Although officially the British mandate over Transjordan ended on June 17, 1946 (and the final treaty with the UK removing all restrictions on sovereignty was signed in 1948), it is May 25 that is celebrated as the country’s Independence Day. 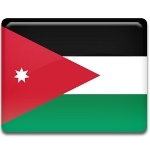 Jordan Independence Day is one of the country’s few secular public holidays. It is usually marked with an official ceremony attended by royal family members and senior officials, award presentations, parades, speeches, and other festive events and activities.